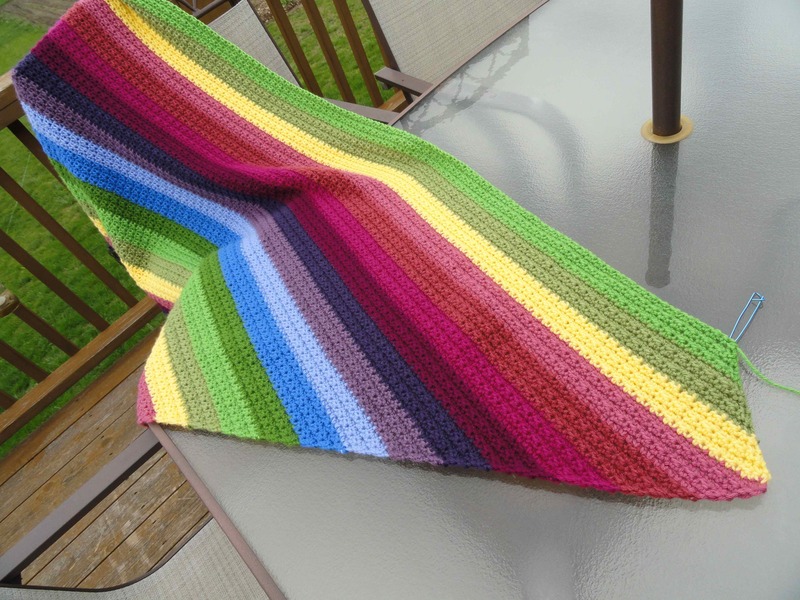 The Dreamy Layers Afghan pattern is ready to share! I am nearly ready to start the border, so I will post more pictures later in the week. These shots were taken immediately after I began the decreases this week. Edited to add:: my border option used and additional 10 oz. of Red Heart white yarn. 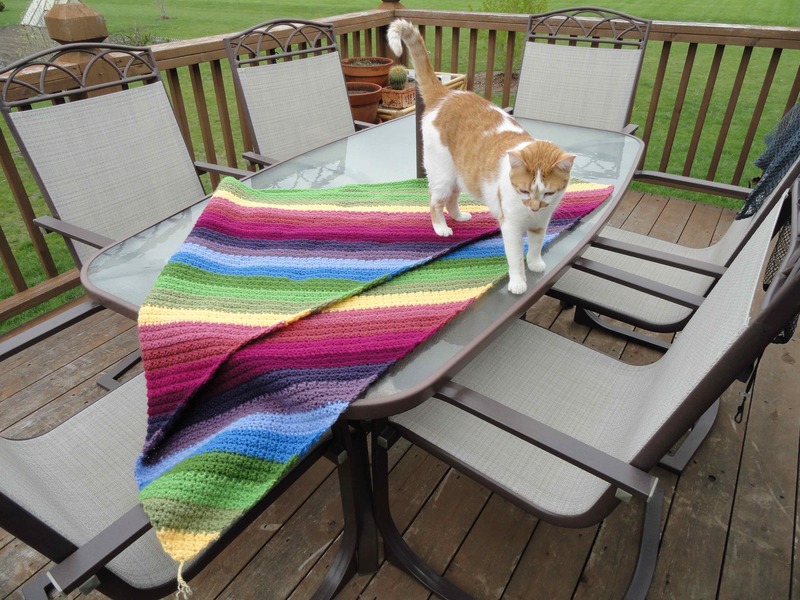 If you decide to make a “dreamy layers afghan” please share your links and pix in the comments!!!! Love, love, love the bright colours. Wish we could get the Vanna’s Choice Baby here in North Vancouver, I have to travel to Bellingham, WA to pick it up. Love the colors !! Pretty pattern ! Do you use two strands or one? Oh Rachel, it’s beautiful!!! And you are nearing the home stretch before the decreases. THANKS SO MUCH for sharing 🙂 You made my day! LOVE this pattern… think it will serve for temp blanket… hoping!! I’ve been making Corner to Corner afghans for over 25 years and just can’t seem to get back to horizontal crocheting. I love your pattern and will use it for one of my many projects. Thanks for sharing. Is it basically just the c2c in a mini version and with hdc instead of dc? At row 2 (and3) when turned, does Inc in 1st stitch (sc, hdc) mean the same as a slip stitch in the space between sc and hdc from last row? And the same at the last stitch? Hope this makes sense and thanks! I’m confused about the decrease. Can you explain in more detail!